Along with the spooky party this month we get a new catalog. This month the theme is Halloween. Earn those coins and be ready for when the trick-or-treating comes around to the Club Penguin island. 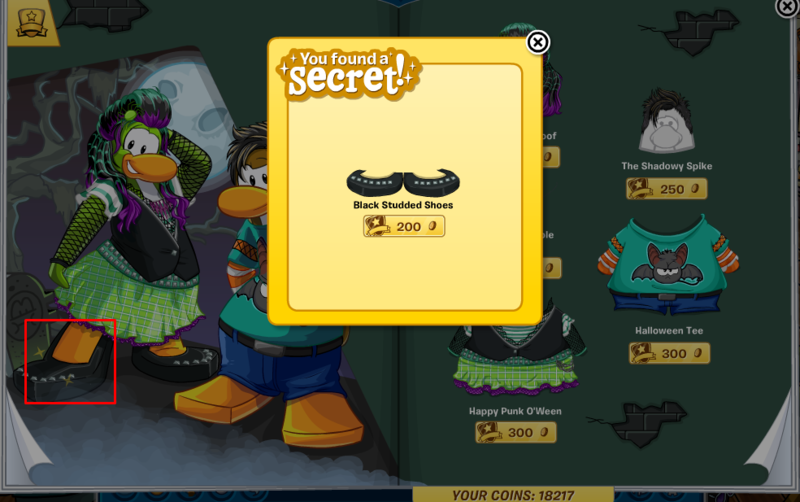 To find the Black Studded Shoes click on the girl penguins right foot. To find the Trick-or-Treat Basket click on the boy penguins flipper. 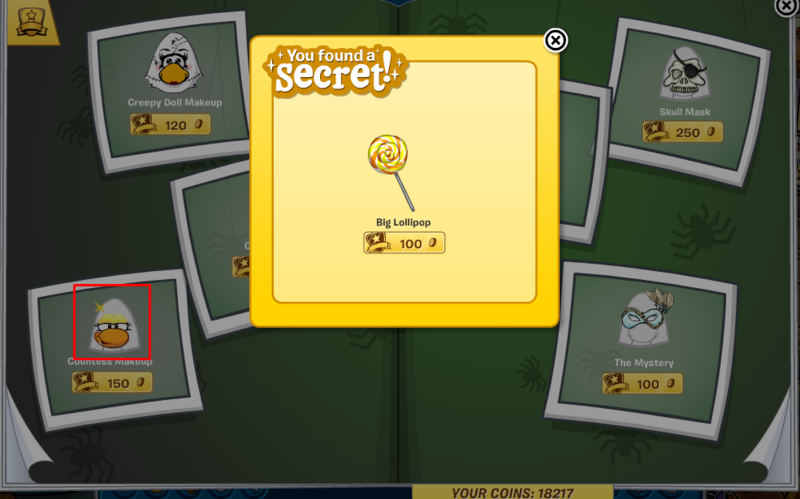 To find the Big Lollipop click on the Countless Makeup item.